According to the records available, the East Gadsden Baptist Church was organized September1, 1890 under a bush arbor with 14 charter members. Services were moved to F.M. Bishop’s Paint Shop which stood on the Anniston Highway near the Alabama School of Trades. The membership had grown to 29 by the time it was admitted into the Etowah Baptist Association. C.B. Hammett, J.R. Trotter, W.Y. Adams, J.W. Battles, E.B. Moore, W.W. Wester, J.E. Smith, J.W. Dunaway, J.B. Cook, L.L. Hearn, S.M. Street, S.M. McColough, Joe S. Brown, T.C. Wyatt, V.L. Wyatt, J.E. Franks, W.C. Crowder, H.S. Inabnit, Albert Smith, Tommy Hight, Ron Phillips, Bill Harbison, Gary Rivers, Don Pendergrass, Randy Postell, Larry Thompson, Chad Chandler, and John Dickinson present pastor. There have been 5 missions started from our church that later were organized into churches. The Calvary Baptist Mission was organized into the Calvary Baptist Church in 1947; the College Heights Mission into the College Heights Baptist Church in 1949; the East Walnut Baptist from the East Walnut Mission in 1952; the Litchfield Avenue Mission into the Litchfield Baptist Church in 1954; and the Midway Mission to Midway Baptist Church in 1963. A groundbreaking for our church activities building was held in April of 1965. The dedication of this building was October 2, 1966. This building was built for the purpose of church activities such as volleyball, basketball, banquets, etc. In 1967 a kindergarten was started in our church and in 1974 a day care was begun. In April of 1984 our church entered into the “Challenge For Tomorrow” program. The purpose of this program was to provide funds for the renovation of the facilities. 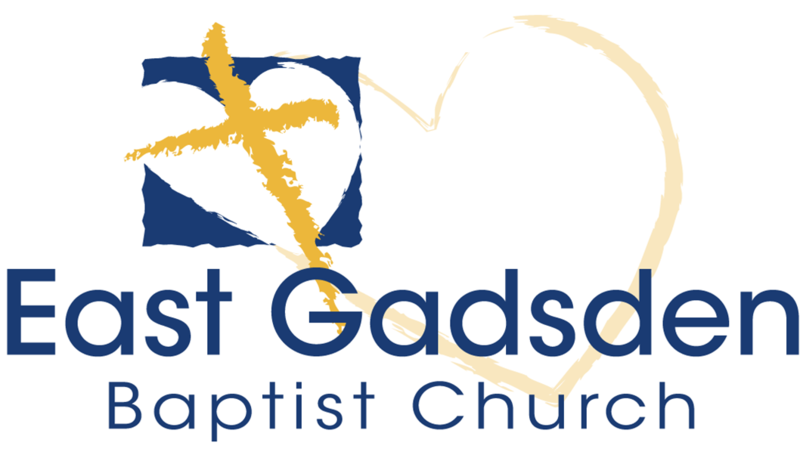 East Gadsden is a cooperating Southern Baptist Church and is supportive of its agencies, boards, and schools. We are a member of the Alabama Baptist Convention as well as a member of the Etowah Baptist Association.